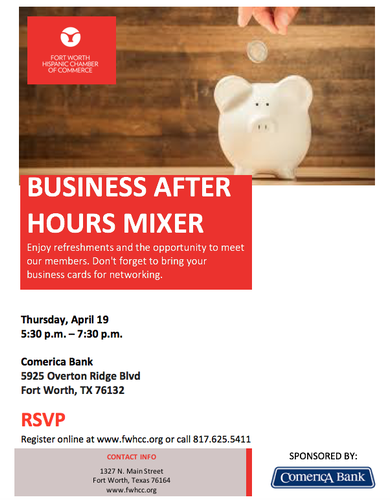 Join the FWHCC on April 19 for our next Business After Hours Mixer. Comerica Bank will be hosting us at their beautiful Overton Ridge location Enjoy refreshments and the opportunity to meet and mingle with Chamber members and prospective members alike! 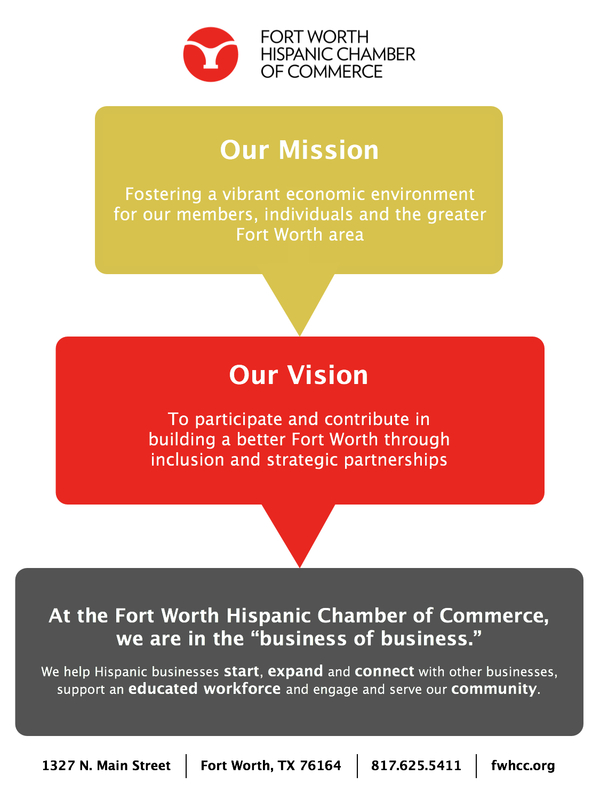 Don't forget to bring your business cards for networking opportunities and door prizes! Free to attend, please register in advance.